You don’t really know how much you love your furniture – until it’s time to start planning your move. It’s only then that you realize just how precious your old grandma’s hand me down sofa is. This is the time you figure out you can’t live without your coffee table, or your mirror, or your bookshelf. And that’s when the trouble starts. Once you have thought about what furniture you will be taking with you when you are moving to Japan (or to another country), you need to think about actually moving them. In this article, find out how to properly pack your furniture for transportation, as well as the most important things you need to know about shipping furniture internationally. Think about the size of the shipping container. the company you are using for shipping furniture internationally. Just to have an idea about it, to transport a 20ft container from London to New York City costs around £2000. In this container, you can fit a whole two-bedroom house. However, if your house is bigger, you might need to pick a bigger unit for transportation, which will increase the price. The price also raises the further your furniture will have to travel. The costs won’t be the same when moving from Florida to New York as when you are moving from the U.S. to Japan. Finally, the moving company you are using will also change the price range, although usually, these prices will be pretty close. However, added services, such as packing furniture might cost you extra. However, you can always opt to pack your furniture yourself. 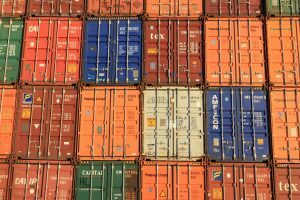 Packing a shipping container yourself can significantly lower the costs of shipping furniture internationally (even up to 50%), but the safety of your items might be compromised. This is why finding a professional moving company is important – they will know the proper way to pack your things, and they will help you balance the costs of it. Make a thorough plan of the move. Even though you might be anxious to start dismantling and packing your furniture to ship it internationally, the best idea would be to take a breath and make a plan first. Having a good plan will make the whole process easier. Otherwise, anything can happen – parts can get misplaced or lost, you can pack something improperly and thus damage it – and you don’t want any of that to happen. So here’s what you need to think about. 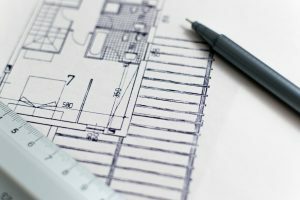 First, look at the blueprint for your new home. Think about if each of your items can go there, and what’s the best place for it. Also, see if there is any furniture already at the place – there really is no point in dragging your bed over to another country if you already have a good bed waiting for you. When looking at the dimensions of the house, however, don’t forget to check how wide the doors are. A lot of people make the mistake of shipping heavy items just to find out they can’t even take them inside. Remember, the weight of the shipment influences cost – so the lighter you go, the more money you will save. The next thing you want to do is actually pick up a pen and paper and go through your house. Write down everything you are sure you will take with you. Make a list of things that are maybe and the things that will stay. Having everything written down will give you a clear idea of how many things you are working with. This way you might also figure out you have some duplicated of items that you seldom use. Be merciless when deciding what stays and goes. After that, it’s time to pick some packing materials. Shipping furniture internationally will introduce you to a whole new world of packing materials. It’s not only boxes and tape anymore. There are things that will secure your item, that will fix them in place – and much more! Make sure you do a thorough research into the subject and make an informed decision about what you will take with you. 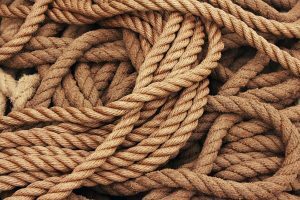 Rope can be pretty useful for packing furniture. There are a number of things that you will need when shipping furniture internationally. One of the most important materials are the corrugated cardboard sheets. These are the sheets of cardboard that are thicker and tougher than the regular stuff. They are perfect for protecting your items. You can also use cardboard boxes, but make sure they are tough. The boxes can bounce around on long distance trips – so you need firm material. To keep your items secure, there are even more things you can use. Start with bubble wrap – it’s the most common packing material after the boxes. There is also the plastic shrink wrap, which has less air but can stretch really well. Finally, consider getting some furniture blankets for your favorite pieces of furniture. Also, don’t forget ropes, tapes, labels, and markers. To conclude, there are many things you need to think about when shipping furniture internationally. Just like when moving locally, you need to make sure your furniture is well packed and secure. However, you need to go the extra mile – because your furniture will go the extra mile. You can also research cargo import in Japan to figure out all the different regulations, costs, and materials you can use. Keeping informed on the subject will make the job easier for you. Also, consider hiring a professional moving company. Reliable movers will have experience in international shipping and will be of great help to you. Finally, keep in mind that sending heavy furniture overseas will take some time. Starting a month or two early is a great way to keep on top of everything.